I love this shawl and will probably make another. It's Milkweed. It was an easy knit and fairly quick too. Not lacy like Ishbel or Aestlight, but quite unusual. This one is done in some sock wool from Wired for Fibre, sadly closed for at least another few months. I really miss the service and lovely wools and colours from both Katie and Daphne. The wool is 80% wool and 20% nylon in the Rita series. It's 20% nylon and 80% wool. The colourway was called Harmony and it ws indeed pleasant to the eye while knitting and very calming in colour. I used my Knitpicks Harmony circulars, smallest cable and 4.5 mm. 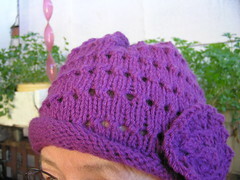 The pattern suggests a smaller needle, but I like how this turned out. There were 438 metres in the skein and I used all but a couple of them. This Breiwick will soon be on its way to the south island of New Zealand. It's not as teal in colour as the photo shows, more like a deep forest green. More Heirloom Merino Magic, 8 ply. My friend knows this is coming but she's away from home right now, so I'll send it in a few days. I was reading some knitting blogs as one does and found that Taueret had opened an Etsy shop, selling pins, brooches, pendants etc with a scientific theme. Lots of pretty pendants of fossil shapes and other things too. She had this of Hypatia, a woman born in Alexandria in the fourth century. She was a noted mathematician and astronomer, who was killed by some monks. I ordered this as a birthday present to myself and am thrilled with it. I am not a science type geek at all, but enjoy reading about the roles women have played. I really am a Latin/Greek/Ancient History geek and this filled two categories of my interests. The prices at the shop are more than reasonable and the pieces are lovely. Go have a look. Postage was quick and I'm very happy with my purchase. All lovely things! I have Milkweed envy...I will cast on one soon, I must! again with the small shawl love! Beautiful. Another one I messed up. You do such lovely work! What gorgeous knitting. I have Ishbel queued, but Milkweed is calling to me too. So much knitting, so little time. Thanks for the link to the brooches etc. I miss Daphne and Katie's yarn too, I know Katie is off on an exciting holiday so I can't be too sad!!! Your Milkweed is so pretty and I am right now looking for a lace pattern for 400m of 2ply silk and thought that might suit. 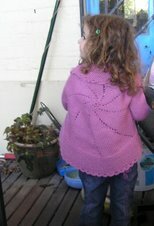 I clicked on the link, yours looks a great size, but the pattern is for a very small shawl. As a largish woman, I think I'll knit a long, narrow scarf - I think I'd like my shawls [which I've never worn] to be generous like my own proportions!